Days outside the office are few and far between. All the more reason I find it somewhat prophetic if not entirely fitting that my most recent day out once again was for the purposes of a video shoot featuring another female distinguished professor, Dr. Marcetta Darensbourg. Five years ago next month, this blog began as an indirect result of Dr. Karen Wooley, who, like Darensbourg, is one in a long line of preeminent chemists to grace Texas A&M University’s faculty. In hindsight, I suppose it was merely par for the course that I would bump into Sir Ian Scott — the equine version, that is, so named by Darensbourg in tribute both to lineage and her longtime Texas A&M Chemistry colleague Alastair Ian Scott, who redefined both organic and natural product chemistry prior to his untimely death in 2007. 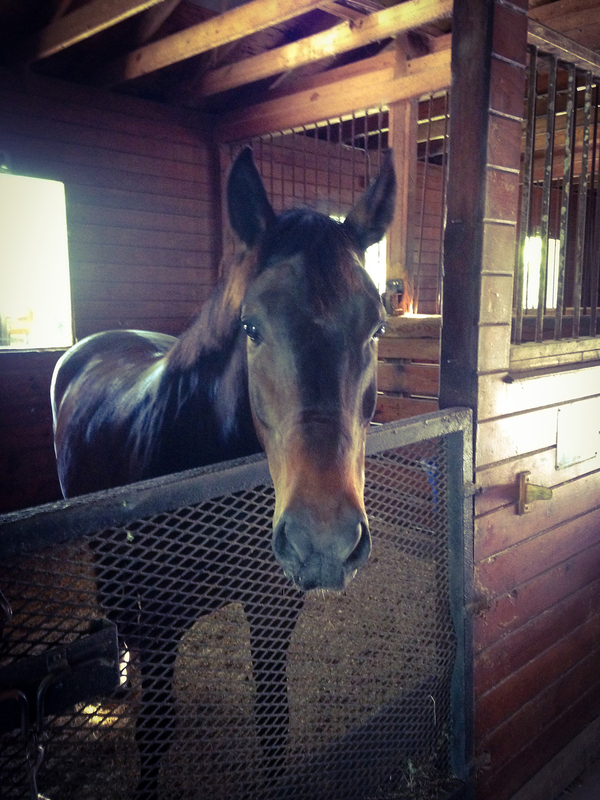 Sir Ian Scott, waiting for his post-ride brushing and carrots, if not the cameras to leave his barn. Sir Ian of the equine variety is the grandson of Great Scott (affectionately known as Scotty) and the son of Gwenael, better known as Gwen and Darensbourg’s mare. She is Darensbourg’s longtime mount of choice, including on this particular day when Gwen, Ian, Halley Berry and Century Mark (along with Darensbourg and Look Sharp Farm’s other respective riders Jenny, Colleen and Kelly) were the stars in Protagonist Digital’s current work at hand: a video showcasing Darensbourg as the 2018 Southeastern Conference Professor of the Year. 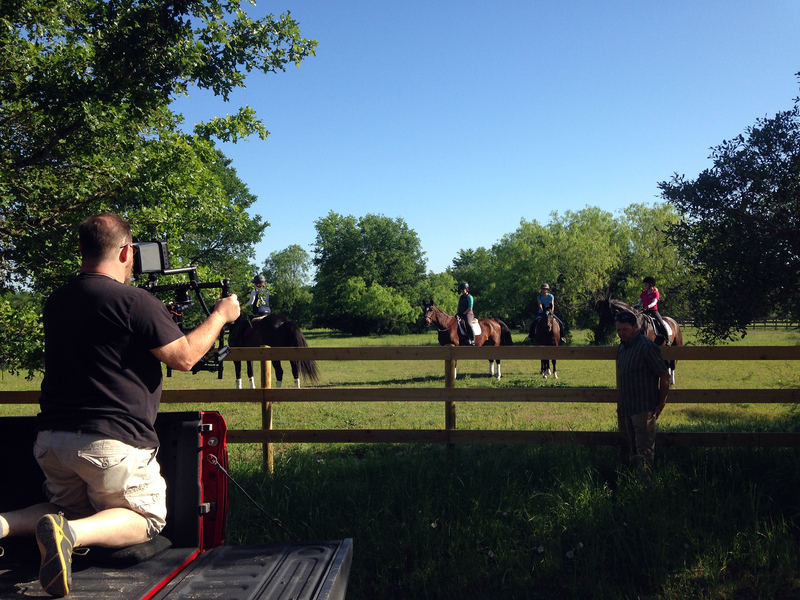 (From left:) Marcetta Darensbourg, along with Jenny, Kelly and Colleen, who are set to ride once Ned’s camera starts rolling on a beautiful April morning in Aggieland. Darensbourg is no stranger to the spotlight, having recently been elected to the National Academy of Sciences last spring. Prior to reaching the national pinnacle of her discipline, she became the first woman to receive the American Chemical Society (ACS) Distinguished Service in the Advancement of Inorganic Chemistry Award, the society’s top annual honor in this realm. She is an inaugural Fellow of the ACS as well as a Fellow of the Royal Society of Chemistry and the American Academy of Arts and Sciences, one the country’s oldest and most prestigious honorary learned societies. 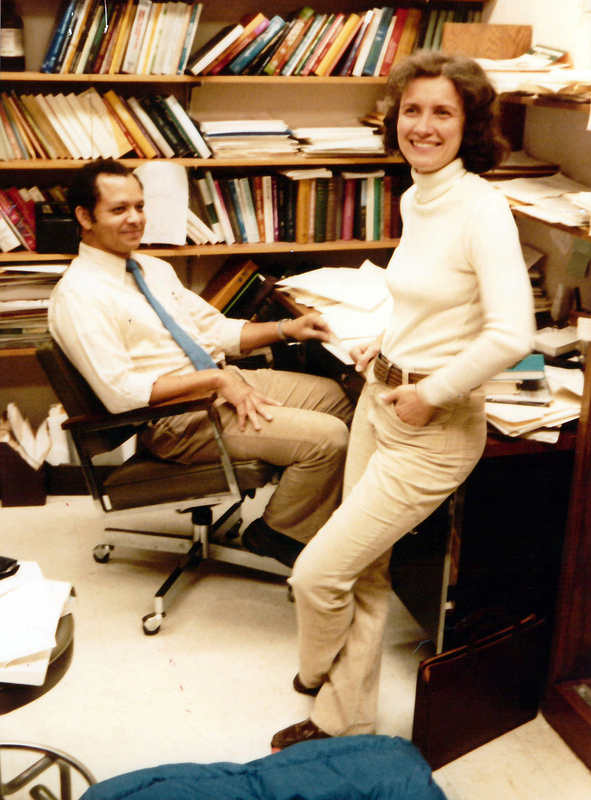 Closer to home, she and her husband, fellow Texas A&M chemist Don Darensbourg, rank as the first distinguished professor couple in Texas A&M history. Marcetta describes Don as “the major pillar in my support network for over five decades.” They met in graduate school, at which point Marcetta says “the proximity effect took over.” They bonded over chemistry as well as their love of horses — specifically, German warmbloods, which they ride and raise on their 50-plus pastoral acres located in southeast College Station. 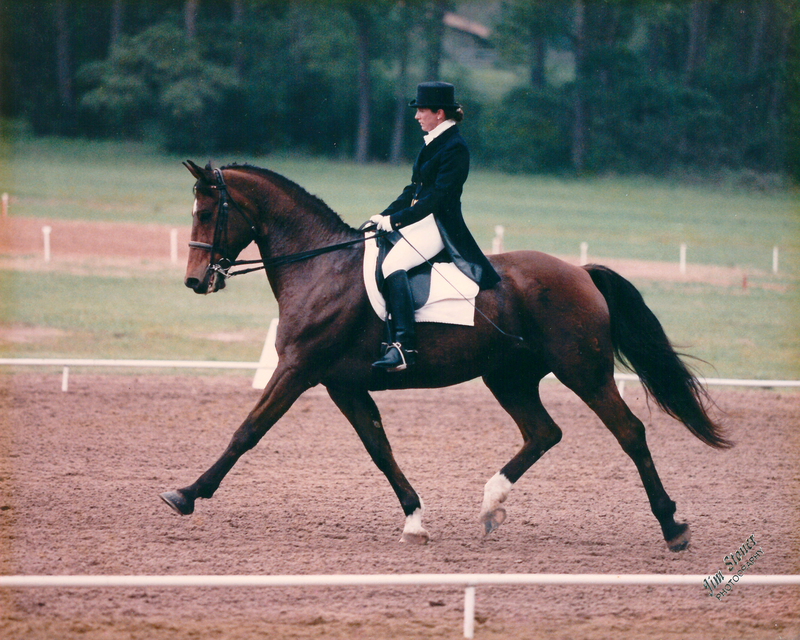 While they primarily stick to Sunday trail riding nowadays, both Marcetta and Don did dressage in decades past and hosted countless clinics to promote the sport. In 1992, Marcetta earned a silver medal from the United States Dressage Foundation — tangible proof of the competitive fire that fuels both her personal and professional interests. In 2016, she and Great Scott teamed up to complete her first Century Ride, which, in true family form, also showcased Gwen and Sir Ian (ridden by Jenny and Colleen, respectively) in a musical freestyle presentation. 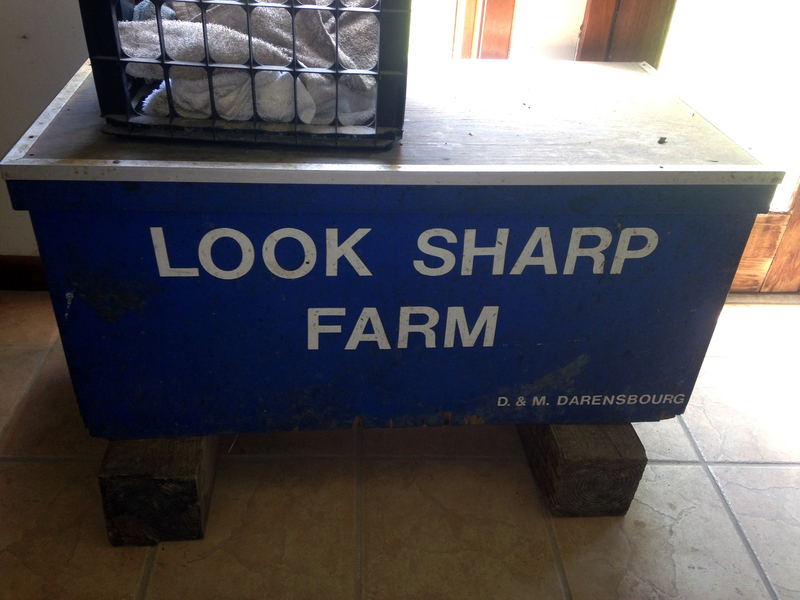 When it comes to the farm’s naming rights, Don defers to Marcetta, who describes it as a creative exercise that begins with the first letters of the horse’s sire and dam (for example, “H” and “B” in the case of Halley Berry, whose name also reflects the couple’s love of movies). From there, it’s a combination of observation, from markings to temperament, culture popular and otherwise, and gut instinct — the same innate resolve she credits for carving out her clear career choice, even as a child. 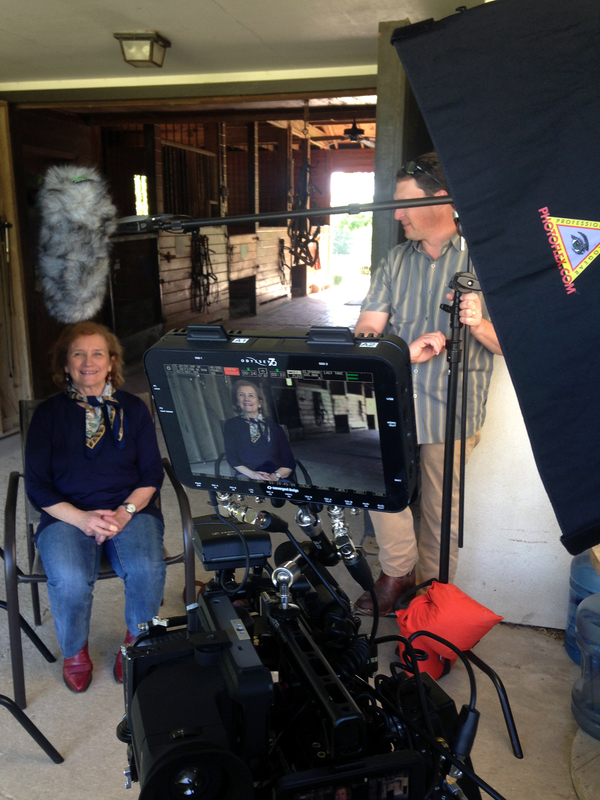 Marcetta Darensbourg, on set with Protagonist Digital’s Jason Ruha at Look Sharp Farm. Makes perfect horse sense to me. As a bonus feature, check out the related story on Darenbourg on the SEC’s It Just Means More blog or the official vignette that premiered at the 2018 SEC Awards Dinner in Destin. Texas A&M Center for Mathematics and Science Education (CSME) researcher Dr. Craig Wilson has made a career out of science education, outreach and inquiry, inspiring countless school children across this state and nation to learn more about math and science and the many related possibilities through hands-on projects and presentations. This past Saturday, he made his third consecutive appearance at Expanding Your Horizons, an all-day, workshop-structured conference for 6th grade girls intended to open new doors of interest and opportunity while also encouraging them to stay actively involved in math and science. Beyond making them aware of STEM (science, technology, engineering and mathematics) career opportunities, the annual event also provides the girls with a chance to meet female role models in related fields. For his part, Craig says he learns as much as he teaches — typical, given the astute observer and encourager that he is. 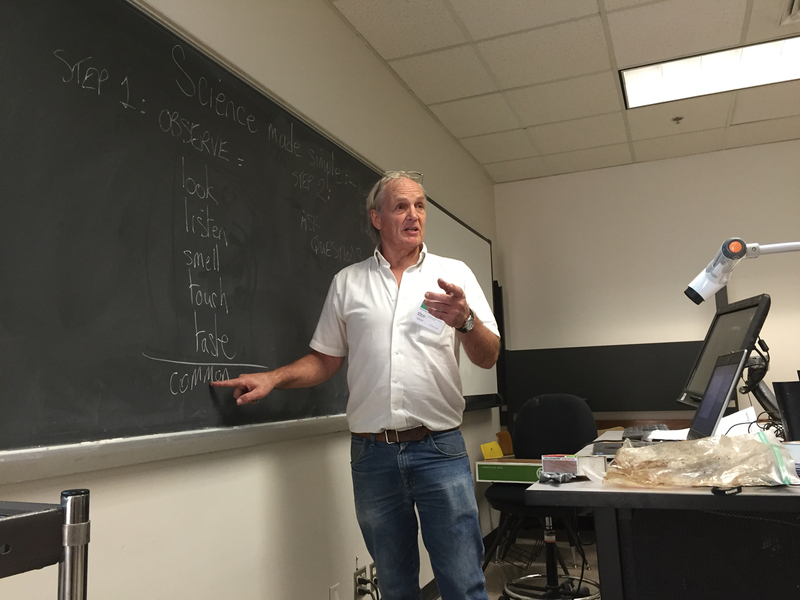 As the ultimate lifelong learner, he has agreed to share his educational observations via the Texas A&M Science blog in hopes of inspiring a broader audience if not horizon. Expanding Your Horizons . . . better known by its acronym “EYH.” You might imagine an expansive horizon, the sun sinking in the west with a myriad of colors filling the sky before darkness descends. A lone rider is riding away into that sunset in silhouette. Who is the rider? From our infatuation with Westerns, one assumes it is a cowboy. But why not a cowgirl? Perhaps it is she who has just saved The West? Why not? EYH is designed to change that mindset from both without and within. The “Your” refers to 6th grade girls. 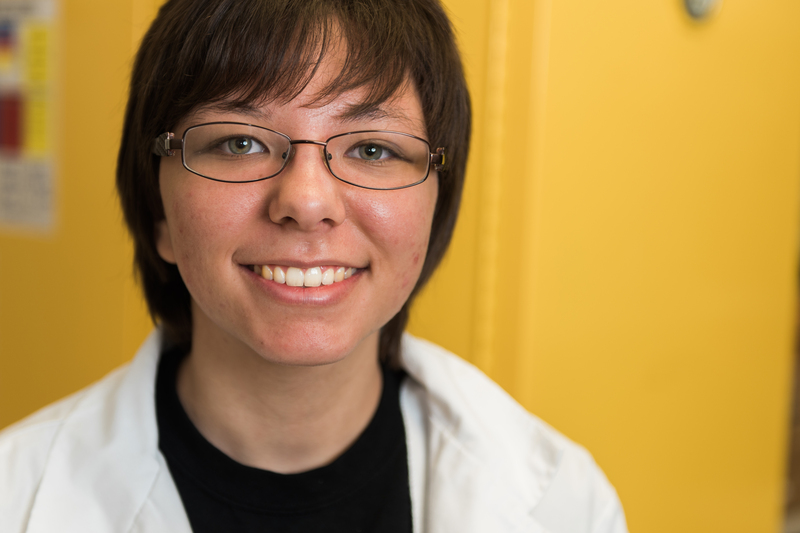 The “Horizons” is not girls seeing a sunset but seeing science as a possible career. The “Expanding” is encouraging and helping them to look up, to look out and to look above and beyond. Just as the Orion spacecraft is looking to one day take humans to Mars, to break the shackles of low-Earth orbit where we have been trapped since 1972, so it is that EYH wants to help girls to go in science where too few girls have gone before. According to the Census Bureau’s 2009 American Community Survey, women comprise 48 percent of the U.S. workforce but just 24 percent of workers in STEM (science, technology, engineering and mathematics) fields. Why is that? These girls know nothing of this, although their parents might. There are various theories, but that is unimportant on this particular Saturday. The question to be asked is, “Why have these young girls come today?” I did not ask, but I suspect that it may be because of parental interest, for each has to come with a chaperone. They have to be brought to the College of Science on the Texas A&M University campus, and 153 have made it today. This is good, because this means that their parents see this as important. They are giving their girls options. They are helping to expand their daughters’ horizons. Today, what do the girls look like? They look interested. They look interesting. They look like potential scientists. I start my first session. They do not sit back and spectate. They participate. This is good, because this is half the battle. The other half is for them to ask questions. This is difficult, because this is not easy for girls or boys. It used to be second nature. It came naturally when they were younger. It is in the nature of scientists to inquire, to observe and to then ask questions about what they have seen. That is the way science is done, and I try to model that and have the girls see that science is much more than book learning. It is about active engagement. It can be fun. But they have to see that it is important and that they can do it as well as if not better than anyone else. I run three sessions. At the end of each, I am encouraged. These girls have what it takes. They have the right stuff to become scientists. Sadly, not enough girls or boys see it that way. We are not getting enough students to pursue science in college. The STEM fields need them. The world needs them. The world needs answers. She is beset by problems. We need problem solvers to step up and help her. Why not these girls? They have stepped up today. They have given up a Saturday for science. Today, they have expanded their minds. They have seen that they are not alone. Each has taken a small step for a girl but a giant leap towards a scientific horizon that they may have thought was beyond their reach. 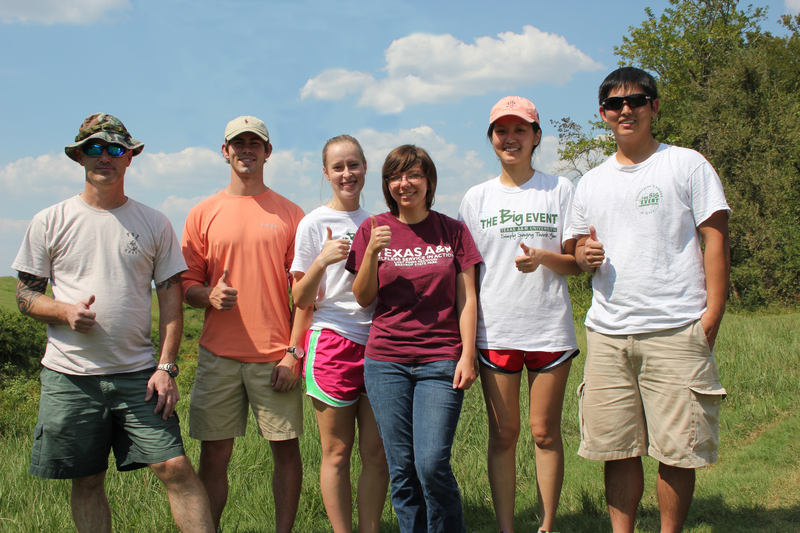 This Texas A&M College of Science program is a small step in the right direction. It tells each girl, “You can EYH.” Yours and ours. One of the things I enjoy most about video production is that it gets me out of the office. Don’t get me wrong, working in the luxury of air conditioning can be really nice in the summer, but anyone can go a little stir-crazy if they spend every single day at a desk. But every now and then, my job takes me places, and during production of our most recent Labors of Lab segment, it took me back home. 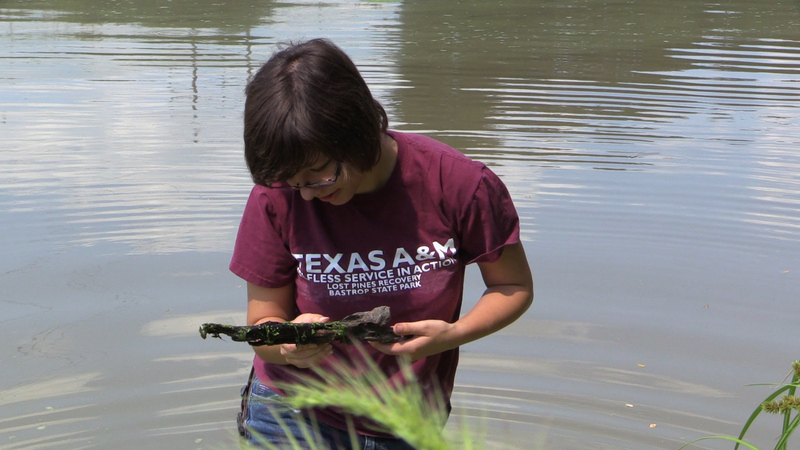 Laura Schwab, a senior biology major at Texas A&M who studies aquatic insects, is the star of our latest installment. 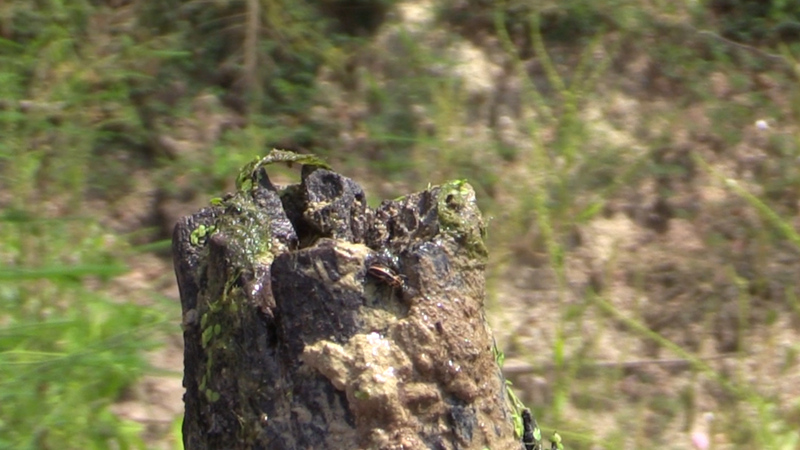 As I was beginning the storyboarding process for her episode, Laura’s faculty advisor, Dr. David Baumgardner, invited me to film her and a few other students as they trapped insects at the Navasota River. Well, it just so happens I’m originally from Navasota, so this would be a homecoming of sorts for me. Sign me up! 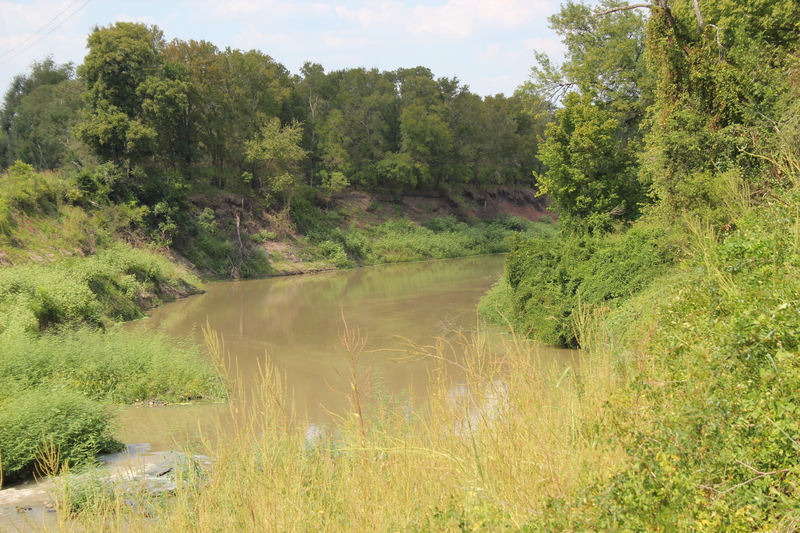 Now, let’s be clear: The Navasota River isn’t what you would call a “pretty” river. It’s muddy, and there’s usually no shortage of algae. 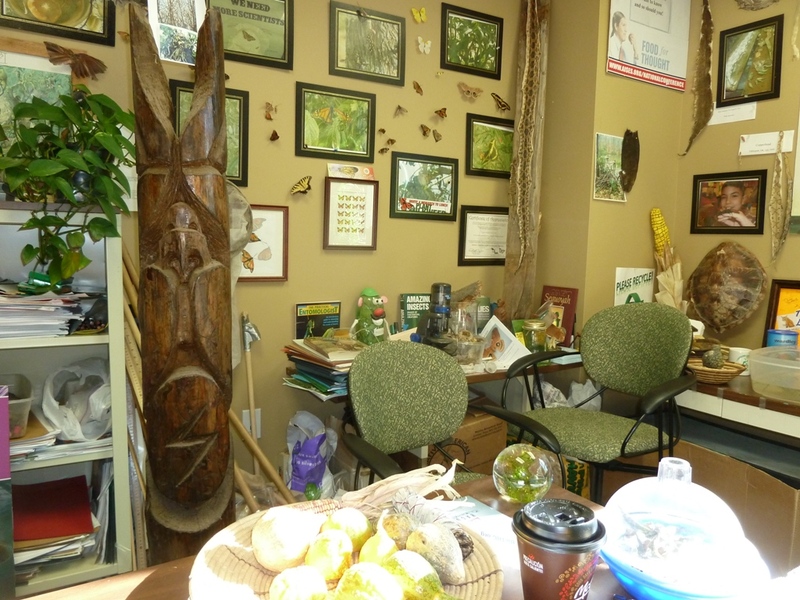 But it is buzzing with wildlife, especially the aquatic insects the students were so hoping to capture. And even though I grew up in that area, I’d never actually been near, or in, the Navasota River. This was a shoot I was truly looking forward to, even on a Saturday. Laura turned out to be an excellent choice for a Labors of Lab spot, and it was quickly apparent that she was Dr. Baumgardner’s right-hand person. Upon our arrival, they immediately divided up the students and waded into the river, where they embarked on separate excursions. While Dr. Baumgardner led two of the students off to catch insects in the river’s current, Laura and two other students went searching for snag, the random sticks and natural debris that protrude from calm parts of the river that often serve as nesting grounds for many water bugs. It was here that Laura’s natural leadership shined. 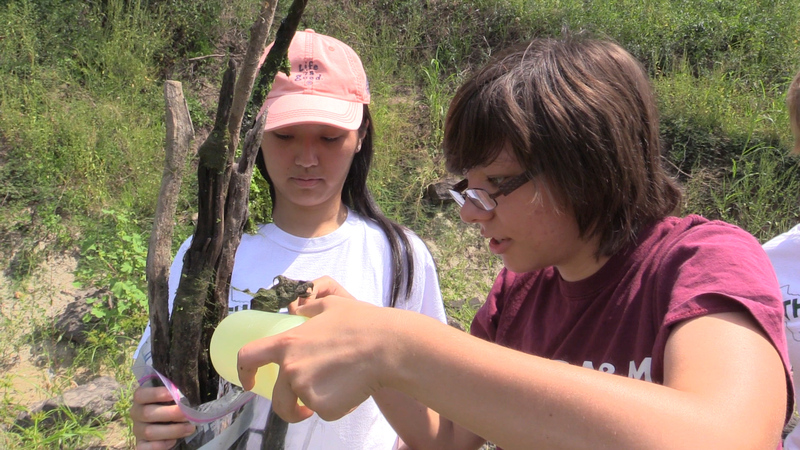 She carefully chose which area of the river they would scour for snag, all while explaining to her team the reasons for her selection and demonstrating the proper way to collect a specimen. Whenever they found a particularly mossy stick that looked like it might be serve as a decent home for insects, they carefully doused the end of it in an alcohol solution and secured it in a Ziploc bag. It was fascinating to watch. In the videos I produce, I often only film people talking about their research and, usually, I’ll stage scenes of people pretending to work on their research so it appears as if they’re actually doing something fascinating in the final video. Never have I actually had the chance to film genuine research in progress — until now. The scenes I filmed at the river that day were some of my best, in my opinion. Undergraduate students doing real research, having real fun. You can’t fake that. Plus, there’s no place like home. 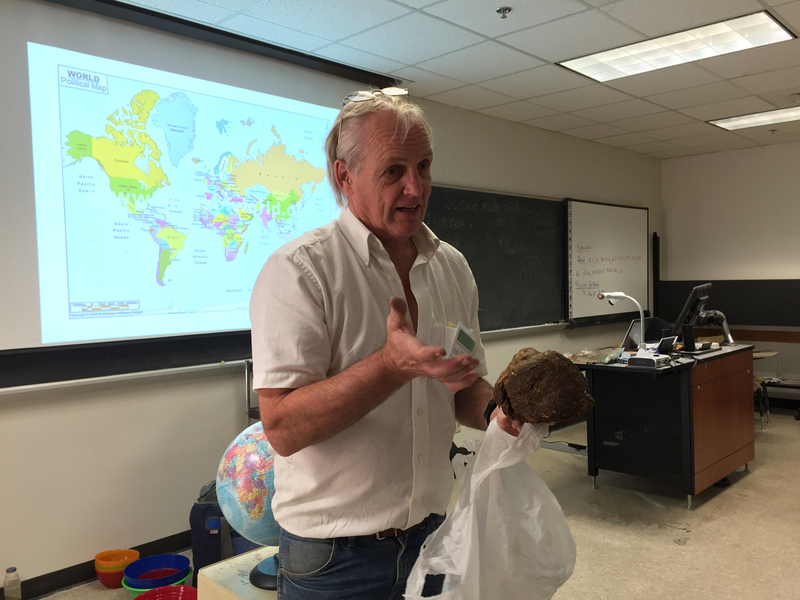 To know Texas A&M Center for Mathematics and Science Education (CMSE) researcher Dr. Craig Wilson is to love him — if not for his genuine passion and absolute gift for scientific knowledge, inquiry and outreach, then for his entertaining stories in pursuit of the aforementioned. Here’s one that he shared last week with several people in the Texas A&M Science Dean’s Office, most of whom know a thing or two about spending time in close quarters with both Craig and his cockroaches. Let’s just say it’s better to be hissing than missing! The university media specialist (by his own admission a non-scientist) was spending half a day with us to learn and write about the Future Scientists Program. He had been taking all manner of photos, including many of the teachers using the digital microscopes in the classroom that had been set aside for our use. He then accepted an invitation to join us outside studying in the wildflower meadow, where I had the teachers collect a variety of flowers with the goal to examine different types of pollen. No sooner had he joined us than he left us, taking off running back to the road like a scalded cat screaming, “Snake!” At that point, bodies bolted in all directions, while I headed to the area where the snake might have tried to make its own escape. I was able to secure a four-foot rat snake (Elaphe obsolete lindheimeri) with one foot and grasped it behind the head. If possible, it seemed more agitated than the erstwhile cameraman. This seemed like a teachable moment, so I carried my prize back to the classroom for further study and looked for a suitable container. In a side room, I found the old terrarium inhabited by 40 Giant Madagascar Hissing Cockroaches (Gramphadorhina portentosa). Still holding the snake firmly in one hand, I managed to remove the lid … but where to put the cockroaches? Out of the corner of my eye, I saw a waste bin with a liner, so I dumped the cockroaches in there for later use and placed the snake in the terrarium. At that point, the by-now-somewhat-calmer-and-mollified photographer steeled himself and took photos of his incarcerated nemesis. 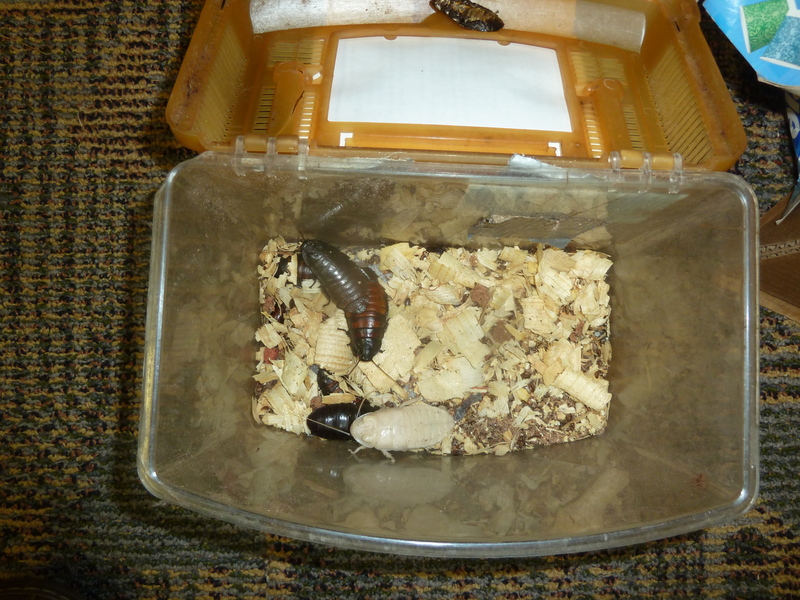 Madagascar Giant Hissing Cockroaches, properly secured and suitable for transport to an educational environment near you! Craig notes that the white one pictured here is not an albino; rather, she has just emerged from her exoskeleton and therefore is soft and white. From here, she will hide, swell up and darken in color. He says they do this whenever they have grown too large for their current exoskeleton. An hour later, I was ready for the teachers to study the cockroaches, so I went to retrieve them. I was startled to see an empty waste bin! A quick inquiry revealed that a janitor had been seen in the building. Quickly putting two and two together, three of us (not four!) rushed out and around to the back of the building and began dumpster diving. The fifth bag retrieved and opened indeed was holding the missing cockroaches. One should avoid anthropomorphism if at all possible, but the insects appeared none the worse for their experience, if not perhaps chagrinned that they had not made good on their escape to cockroach nirvana at the landfill. I cannot say the same for my co-dumpster divers or for our fearful media specialist. Each year, I am invited by Texas Farm Bureau to present at this, the Agriculture in the Classroom (AITC) Summer Agricultural Institute, held at Tarleton State University in Stephenville, Texas. Each year, something notable happens, usually on the good side of bad. For example, I always take the teachers to walk over and study the turf grass experiments nearby. While there, I also collect lily flowers (Lilium) for them to study, as there is a large bed set aside to grow them that rivals Joseph’s Coat of Many Colors, such is the proliferation of shapes and colors of the large blooms. However, this year was different. This year, the research scientist unexpectedly showed up and showed concern at this uninvited presence. Naturally, I marched straight up to him and asked him to explain his research. He was somewhat taken aback, given that he is not a people person. When he kindly invited them to help themselves to lily flowers, I had to admit that I had already helped myself on their behalves. My transgressions are always in the name of science. For many, this would be a very different day’s work, but for me, it was all in a day’s work. 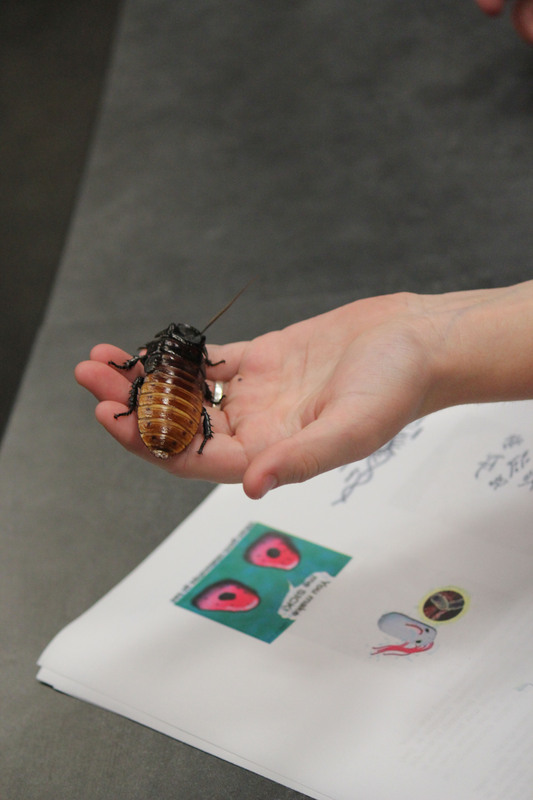 Craig routinely brings his cockroaches and other insects to K-12 classrooms and educational outreach events (in this case, Expanding Your Horizons) held at Texas A&M and other universities to allow kids of all ages to get up close and personal with their environment. Scientists often go to great lengths for their research, but sometimes it gets downright risky. Grace Smarsh ’14 is a Ph.D. candidate who has been working in the lab of Dr. Michael Smotherman, Texas A&M University biologist and a leading expert on bat behavior. Grace spent a total of 17 months during a three-year period in Tanzania studying the songs of its native heart-nosed bat to probe how their vocal ranges adapt to different social interactions. While on her quest to observe the winged creatures, Grace had to learn to coexist with the land-dwellers of the African bush, from the tiniest of insects to some pretty large cats. Here’s Grace, discussing some of her encounters and how she coped with her rank in the animal kingdom. Forrest Gump said it best: “Life is like a box of chocolates.” I feel the same way about interviews. In both situations, you never know what you’re going to get. Sometimes, it’s a mild-flavored, otherwise-forgettable center. Occasionally, it’s crunchy-nutty goodness or maybe coconut or nougat. And in other instances, it’s a mysterious, vaguely citrusy mess that you can’t spit into your napkin fast enough to save what’s left of your taste buds. A weekly group meeting where each member in a 15-plus group presents? Uh, to borrow a popular social-media-driven phrase, ain’t nobody got time for that, and yet, clearly, a place as busy as the Munnerlyn Astronomical Instrumentation Laboratory does. I had to know more. His answer? Roughly an hour. Oh, and it’s typically a set time each week — Wednesdays at 4 p.m.
Former Texas A&M Physics and Astronomy research associate and Munnerlyn Lab member Jean-Philippe Rheault, modeling a VIRUS spectrograph as well as one of the group’s many custom-made t-shirts indicative of the lab’s close-knit ties and infectious sense of camaraderie. If you have that preconceived concept, as I once did, that scientists do nothing all day but merrily toil in their labs, pour ambiguous neon liquids from one beaker to the next and jot incomprehensible equations on a blackboard, well, sorry. That’s fiction. The truth is that being a scientist can be a downright stressful gig. Before they can pursue the undiscovered, they have to pursue funding so that they can actually perform the research that’s expected of them. Whenever they do don the stereotypical but regulation-required white lab coat, it’s usually to do the same tedious, non-glitzy experiment multiple times with the hope of coming up with some sort of data worth publishing. Those world-changing discoveries are few and far in between, and even then, more follow-up research must be done, which of course means more grants must be secured. It’s a vicious cycle. Breathing down their necks are supervisors wanting publications, students wanting help with homework and the rest of the world wanting answers to a laundry list of questions on everything from the cosmos to cures. They have obligations to fulfill and deadlines to meet. Normal work hours and weekends are never guaranteed. To put it bluntly, being a scientist is demanding career. Thankfully, the scientists at Texas A&M, are able to find ways to smile through it all, no matter how strenuous it gets. 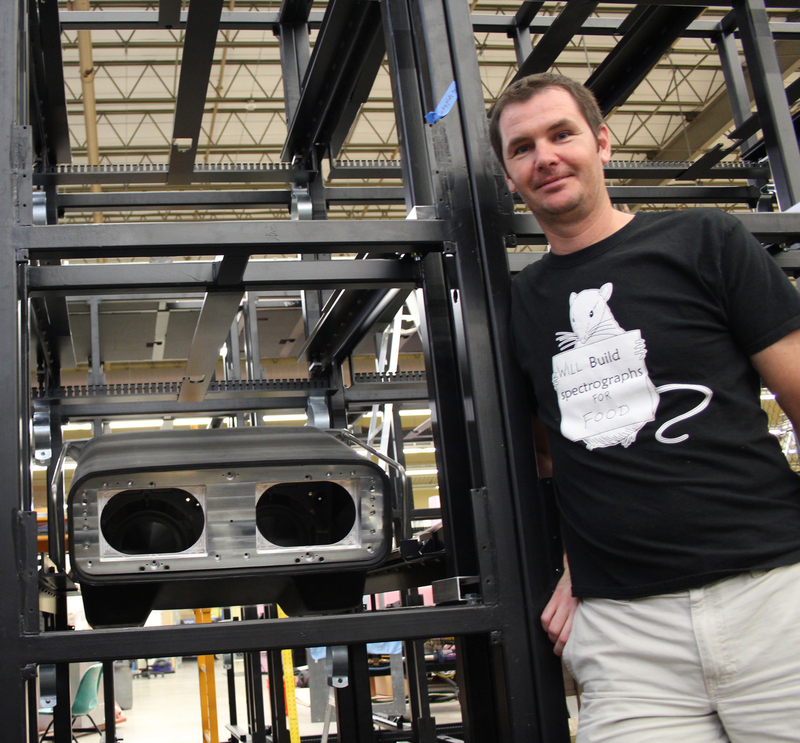 It’s that whole ‘all work, no play’ notion, and big surprise, they excel at that, too. 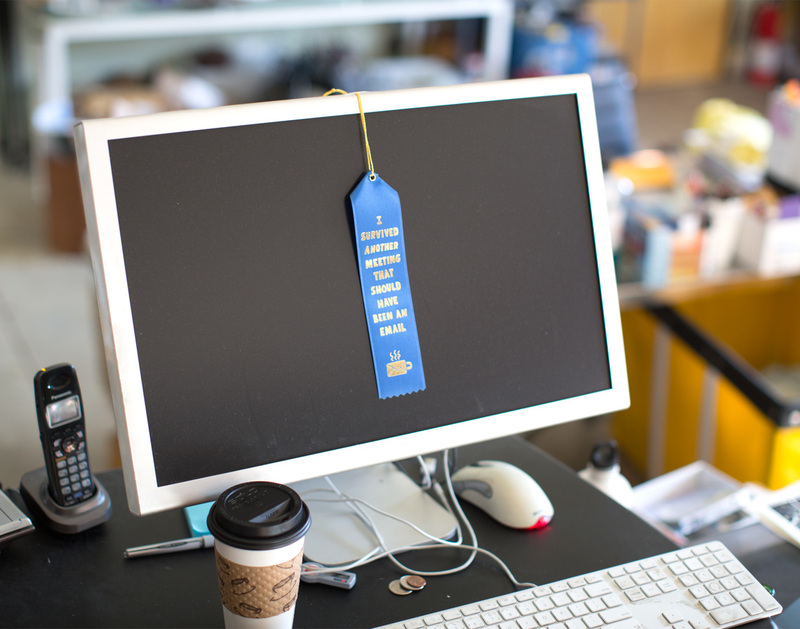 Here’s a lighthearted look at some of our faculty finding joy in the job(s) they do so well. 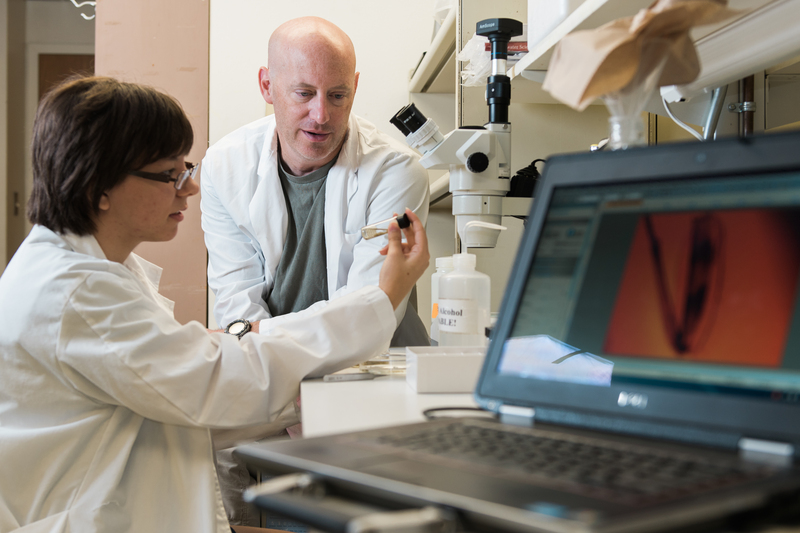 Dean of Science Joe Newton entered his 15th year of service in the College of Science Dean’s Office in 2014. Here he is being “crowned” by Executive Associate Dean Michael Hall on the day he officially became dean in 2002. Physics and Astronomy’s Helmut Katzgraber brought some “Gangnam Style” to his physics lecture in 2012. Chemistry professor Daniel Romo and his lab morph into a beta-lactone molecule. Associate Dean Tim Scott has carved out an impressive niche as a national voice for STEM education, mathematics and science teacher preparation and science education policy, but around the Dean’s Office, he’s just a regular Joe who’s game for any duty, as assigned and otherwise. Kevin Krisciunas is our resident Renaissance astronomer. In addition to dressing the part, he’s been known to sing upon request. Mathematics faculty members Sue Geller and Jean Marie Linhart get glam for the annual departmental holiday party. Physics and Astronomy department head George Welch is known for his electric personality. Yep, that’s our own 2014 Outstanding Staff Achievement Award winner Ethel Mejia with Ross Larsen (foreground) and their trusty back-up singers/dancers (left to right: Curtis Alexander, Brian Hartman and Paul Martin) as well as fellow OnLiner Kim Ritchie (standing at left) Kickin’ It for “Mu” as part of the 2006 State Employee Charitable Campaign (SECC) Statistics Talent Show. Age is just a number to Chemistry Professor Emeritus John P. Fackler Jr., seen here showing off a bottle of wine he received at his 80th birthday celebration in July 2014. Jennifer Marshall, associate research scientist in Physics and Astronomy, and her team sport custom-made shirts to commemorate the installation of the Atmospheric Transmission Monitoring Camera (aTmCam) in Chile. 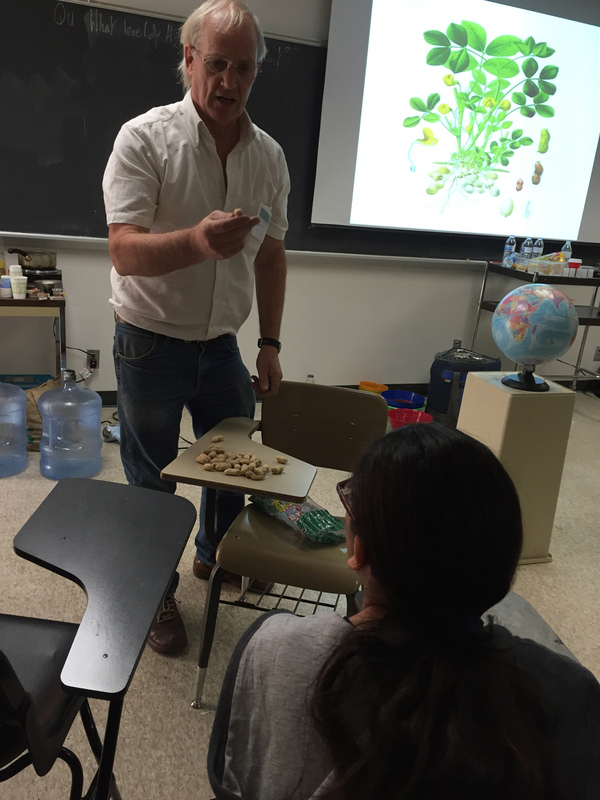 Mathematics department head Emil Straube loves to dole out candy every year at the staff Halloween party. Education is groovy! Just ask aggieTEACH program director Jennifer Whitfield. Here’s your sign! As a research associate in Physics and Astronomy, Jean-Philippe Rheault has certainly lived up to his t-shirt’s billing, particularly with this particular instrument, VIRUS, which contains no fewer than 150 identical spectrograph units. The jury’s still out as to whether or not he got the equivalent in food. Doctor Who has the most fun of all? Why, Texas A&M chemist James Batteas, of course. Texas A&M biologist Tom McKnight is known to go out on a limb for a good cause, from harvesting cancer-fighting seeds from a rare Chinese tree at the San Antonio Zoo, to whipping up some Big Caboose Chocolate Mousse” with his son Matt for the College Station ISD Education Foundation’s “50 Men Who Can Cook” event. Physics and Astronomy’s Peter McIntyre strikes a pose prior to striking out for a mile-long hike across campus in red heels for Walk the Walk in April 2013. During his 15-plus years as either Interim Dean or Dean of Science, Dr. Newton has had to tread his fair share of water, hot and cold — as evidenced in the latter case by his twice being the star of the show for Dunk the Dean fundraisers in 1999 and 2012, respectively. A couple years ago, this rotating gag gift that originated in the Department of Chemistry spent a little time in various Dean’s Office locations. THIS JUST IN: Scientists are normal! For starters, just like you and me, they take the occasional vacation. That being said, I don’t know many whose curiosity ever takes the occasional break. 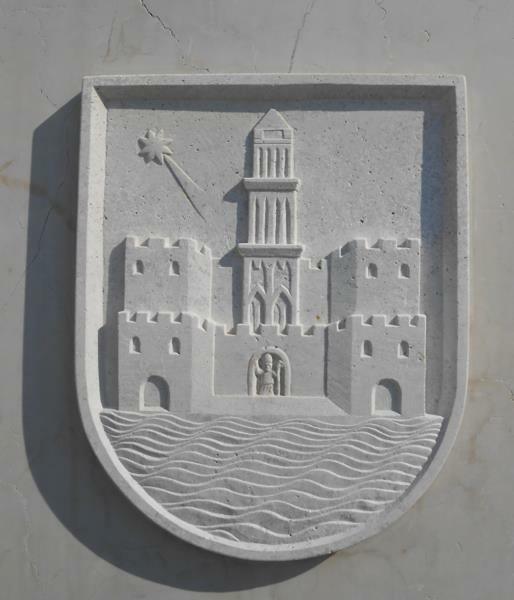 As proof, I respectfully submit Exhibit A — a Facebook posting from Texas A&M University astronomer Nick Suntzeff, documenting a curious find from his travels in Croatia this month. I’ll let you be the judge, from the history to the actions and their motivations, but for me, there’s no debating that Nick has a wonderful way with words! AUSTIN: So me and my geeky friend just calculated how fast that Seahawk player was running when he just scored that most recent touchdown. ANOTHER FRIEND (drawn in:) What was your formula…..no, forget I asked! AUSTIN: Good old distance equals rate times time. And of course we had to convert from yards to miles and seconds to hours. Just goes to show that math and science not only are fun but also all around us, if we so choose to recognize and embrace what clearly can be a challenge just as exciting as sports. Possibly even more so on otherwise disappointing nights such as these. P.S. For those interested in a little 12th Man history, check out this extensive treatise on the subject by the outstandingly enterprising and clever folks at Good Bull Hunting. Just what does that mean? I still retain a dictionary, but nowadays most people turn or click to Wikipedia, which defines ephemeral things (from the Greek word εφήμερος or ephemeros, literally “lasting only one day”) as transitory and existing only briefly. 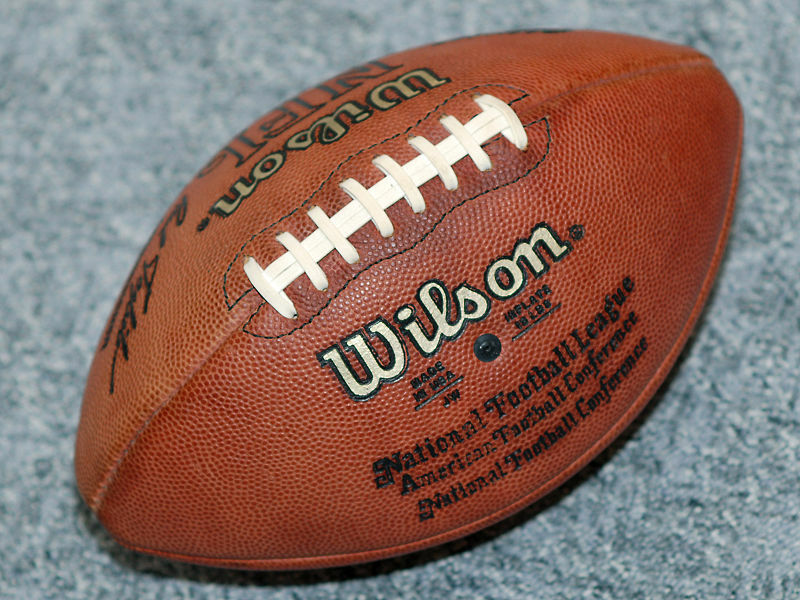 Typically the term is used to describe objects found in nature, although it can describe a wide range of things. So, it was refreshing and thought-provoking to hear this definition offered by a Native American tribal elder when I recently attended the “closing circle” at the American Indian Science and Engineering Society (AISES) National Conference in Denver, Colorado. Dried sage leaves were burning and smoking (smudging) and cleansing the gathering that, rather incongruously, had attendees seated in a circle of chairs arranged inside a hotel conference room rather than outdoors under an expansive blue sky with the snowcapped Rockies as a backdrop. Nevertheless, once “smudged,” the speaker was allowed to hold the sacred eagle feathers and thus the floor, whereupon the elder said that, “The Plains Indians consider life to be like the fresh breath of a buffalo on a cold morning.” No book nor the Internet could have put it better, and so I immediately became a fan of oral history and the power of a good story — in my case spoken by preference. A totem pole carved by an itinerant woodcarver Craig Wilson befriended from Washington State nearly 20 years ago graces his USDA/ARS office. Wilson says he treasures the man’s generous gift, given that members of this particular artisan’s clan of 7th- and 8th-generation First Nations carvers have work in the collections of the Smithsonian and the Royal BC Museum in Victoria, British Columbia. I have taken to using the phrase “we only pass this way once” (with apologies to any Buddhists and Hindus in my audience) to try to impress on imressionable young minds that they should not be spectators in life but active participants who should try to squeeze out every last drop of juice or aqua viva that is held therein. They should participate. That is, of course, easy for me to say, as I have the luxury in my job of time for thought, while most folks have their noses to the grindstone or, nowadays, to an Ipad/device screen, their thumbs flashing across a miniature keyboard as if their life depended upon reacting or being proactive by text rather than active. There is no thought of taking time out to smell the roses. Why look at or smell an actual rose when you can click on a link and learn that there are Banksianae — white and yellow roses from China — in fact roses from most every continent, of every color, and that they all trace their roots back to slightly more than 100 species? Smell one? What would be the purpose of that? With that thought in present day, I took myself out of the Howard Johnson — formerly a parochial house for priests and monks — and walked a few hundred yards to the town square in Mayaguez, Puerto Rico where I am currently working. I was there the day before and was immediately struck by the fact that something was missing, different, perhaps untoward. I immediately realized that the fountains had been silenced, the gloriously sparkling pool surrounding the imposing bronze statue in the center of the square emptied and stilled. A magical exercise had been lost to me, given that I have a habit when seated by moving water to focus my eyes on one drop and then to follow its every movement upward and down until it is lost to me, at which point I pick up another water molecule’s path and so on. It is mesmeric. You should try it. 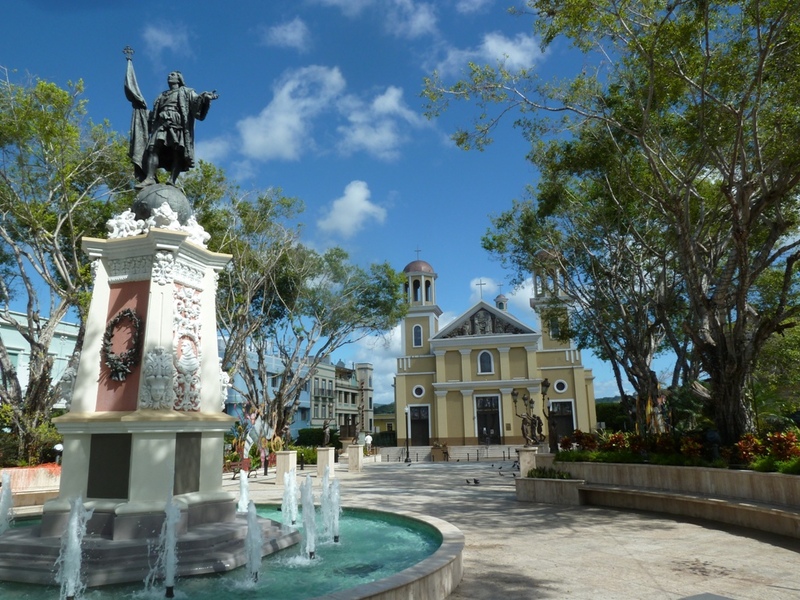 Christopher Columbus statue and fountain in the town plaza in Mayaguez, Puerto Rico. So instead, I took in my surroundings, where a diminutive, suntanned older lady was sweeping leaves off the marbled square with a passion and effort that was both impressive and disturbing in that she was like an automaton of Autumn only employed when the leaves fall and desperate to have the square leaf-free as if it were a leaf-free zone. That took my eyes skywards to see how much work remained, gauged by the remaining foliage, but then I spotted a humming bird flitting from leaf to leaf, breakfasting on insects to bring up its protein count while burning off the calories from nectar collected elsewhere. Native Americans explain that our Earth is covered by a dark blanket into which the humming bird had pierced holes that are the stars. That sounds good to me and to hell with The Big Bang Theory although it does make me laugh!